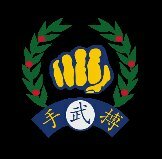 This site has been created to promote Soo Bahk Do Moo Duk Kwan throughout the UK and hopefully encourage new students to take up Soo Bahk Do. If you are looking for a new martial art to learn then Soo Bahk Do really would be an excellent choice. Soo Bahk Do is not a sport, it is a classical South Korean martial art which can be traced back many thousands of years. There is a lot of philosophy and history behind it which is great for the mind, body and spirit. Soo Bahk Do offers so much more than just being a martial art. It really empowers you and cultivates the entire person internally and externally to become the best they can possibly be, not just in martial arts but in everyday life. I have been learning Soo Bahk Do for quite a while now with my son and daughter and we all absolutely love it. Soo Bahk Do has totally changed all our lives for the better. You will feel fitter, stronger and more confident than ever before. Concentration will increase as well as flexibility. Children will learn respect and discipline through the excellent syllabus and teaching on offer. Try it for yourself, trust me you will love it. I work in I.T so hopefully this is my chance to give something back and help promote this wonderful art.